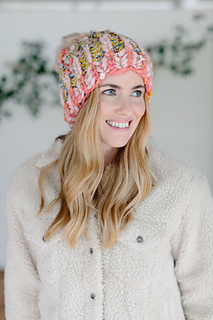 The Big Sky Brioche Hat is a stunning, simply knit brioche design that beautifully utilizes our mini skein sampler kits and the 5 different yarns included therein. 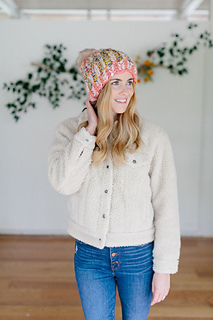 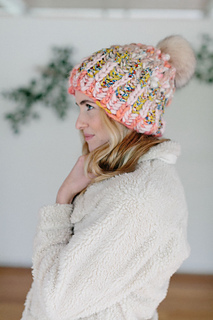 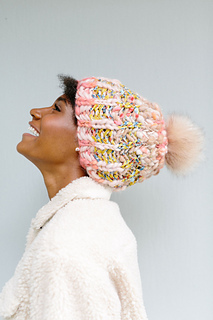 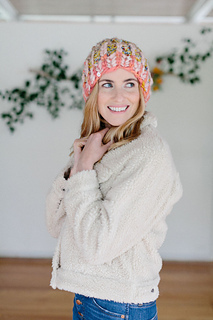 Top it off with one of our faux fur pom poms and you have yourself one gorgeous handmade hat. 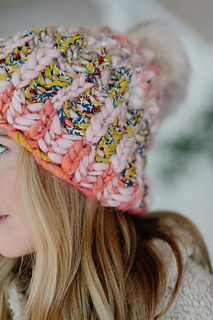 In each sampler kit come 5 mini skeins of Knit Collage yarn, measured out to the exact lengths you’ll need to complete this hat. 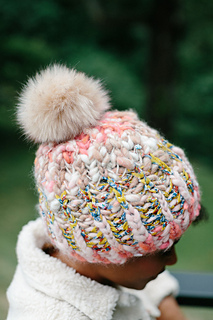 This is a fantastic way to try out 5 of our yarns at one go!